We went to find a deserted beach for or guests to enjoy and relax a full day. As it has been a while since we come up with a new exploration tour it itches- and we need to find something new. So we wanted to find a deserted beach – to combine with the dolphin swim for those who wants. Or just a day out on a secluded beach – for those who ants. 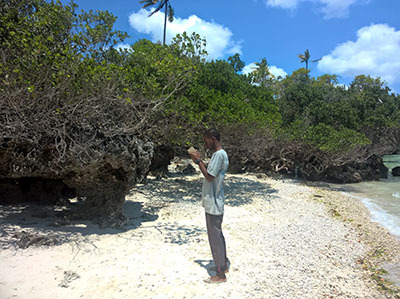 Our friend and colleague Abdulhamid, that is doing our dolphins tours and the Pungume Sandbank tour ( with the best food experience on the island cocked by his family) took us out to find another paradise in paradise. 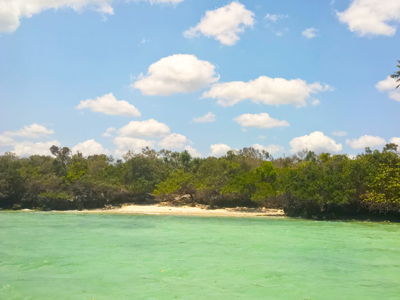 Well actually, just coming down to the little bay in Kizimkazi is enough fun and beauty . 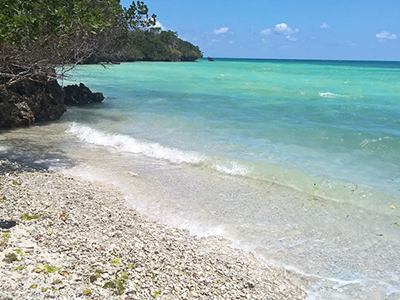 We searched the coast along Kizimzkazi and stopped at a few places before we found our little beach- with a perfect sized tree to give shadow. Small pebbles and stone- not a problem to get into the water. And beautiful view. But most important- possible to be all alone the whole. So if you want a full day out, or combine it with a dolphin swim, this is it. Discover by us- to make you happy in paradise.